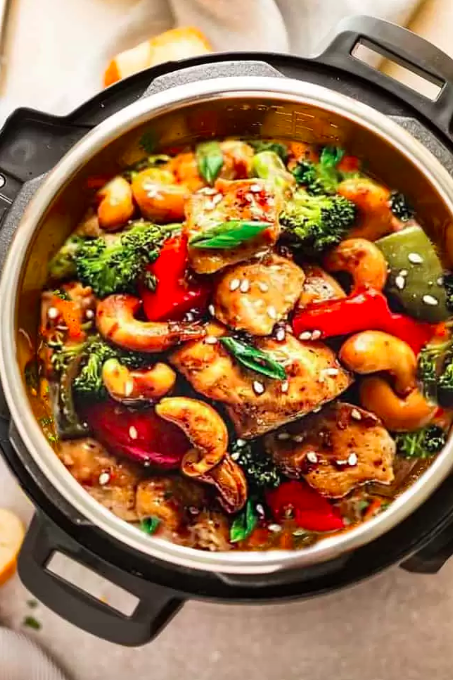 For people following a ketogenic diet, finding recipes that are comforting, hearty, and won't leave you feeling hungry can be a challenge. 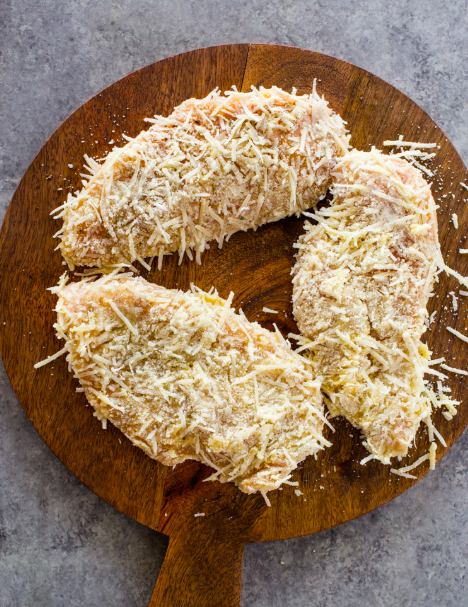 So we rounded up 16 keto-friendly recipes that have all of the flavors of your favorite comfort foods, just minus the carbs. 1. Cauliflower "Mac 'n' Cheese"
OK, sure, this isn't really mac 'n' cheese — but it's the next best thing. 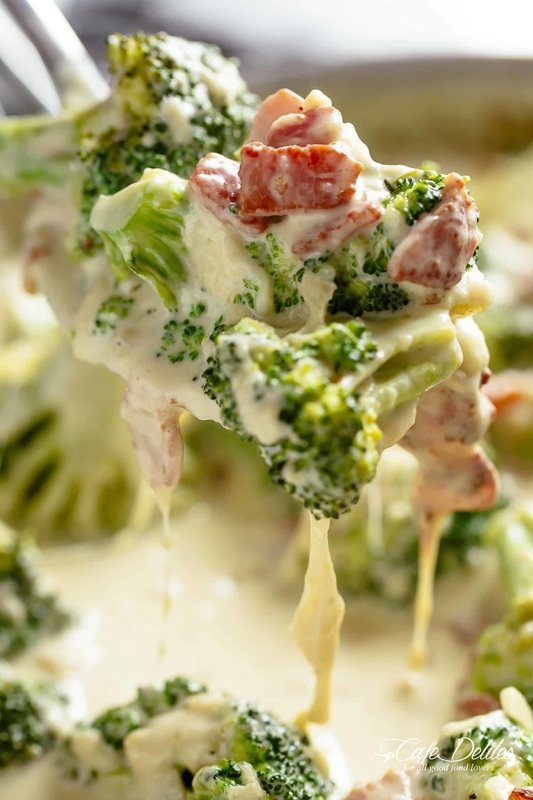 The sauce, made with heavy cream and cheddar cheese, gives you all of the flavors of the comfort food classic while remaining 100% keto-friendly. Get the recipe. 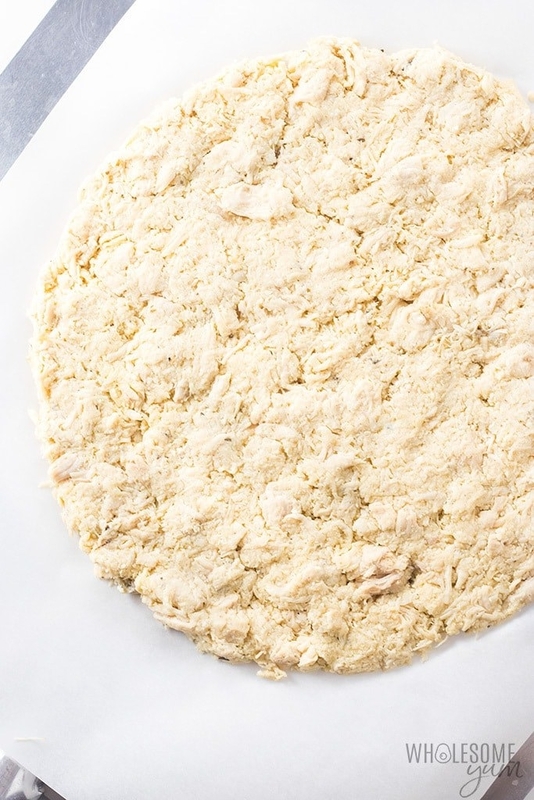 This low-carb version of pizza only takes four ingredients to make, thanks to store-bought rotisserie chicken. 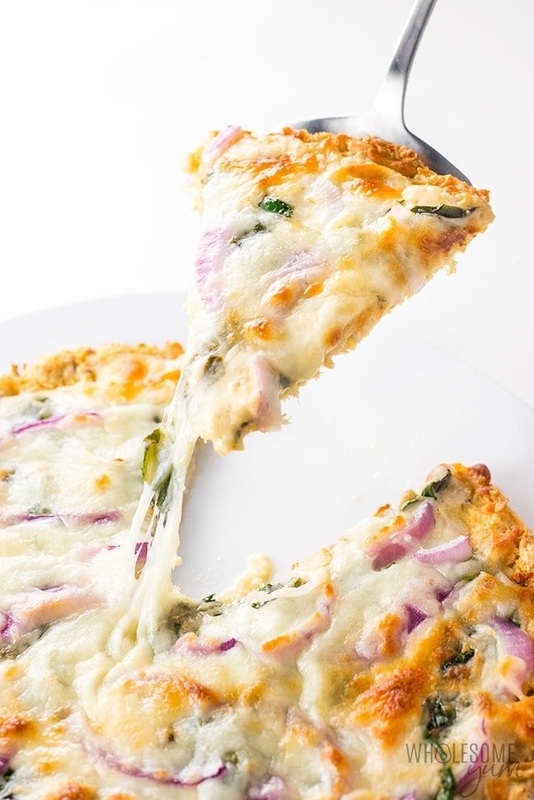 It becomes the base of the pizza, replacing the usual wheat crust and cutting back on the carbs. Get the recipe. 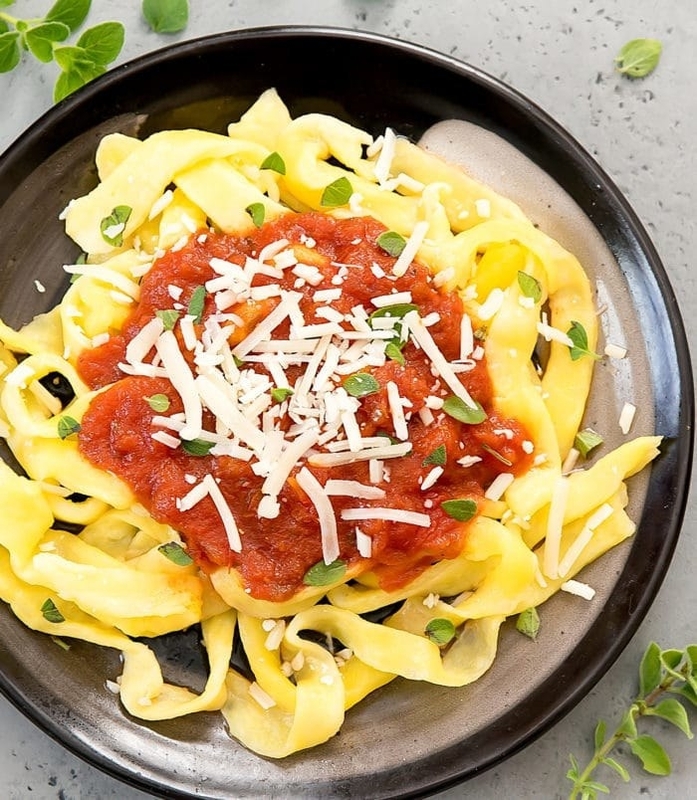 Craving pasta but avoiding the carbs? 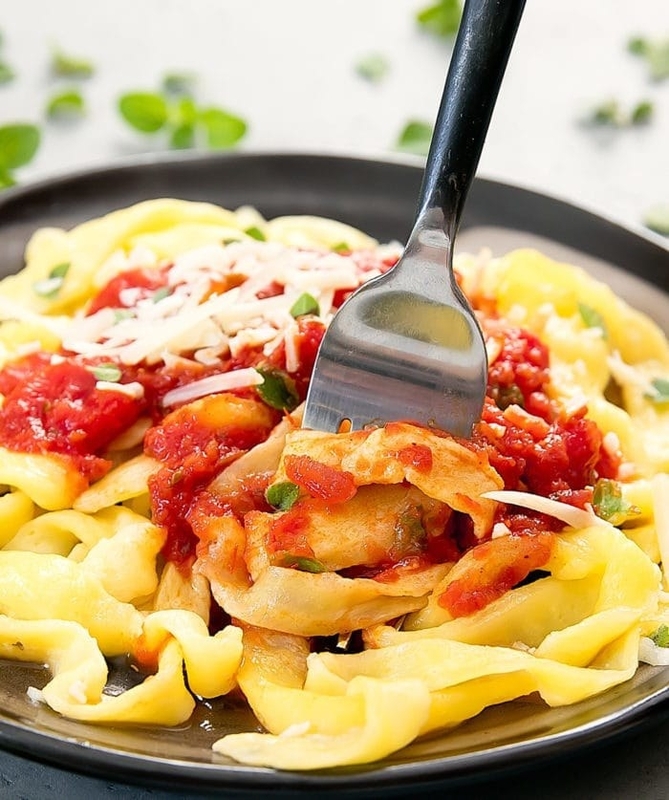 Try this low-carb version made with eggs and mozzarella cheese and top it with whatever sauce your heart desires. Get the recipe. This recipe combines two classic comfort foods — pizza and meatloaf — into one delicious and keto-friendly mashup. Get the recipe. 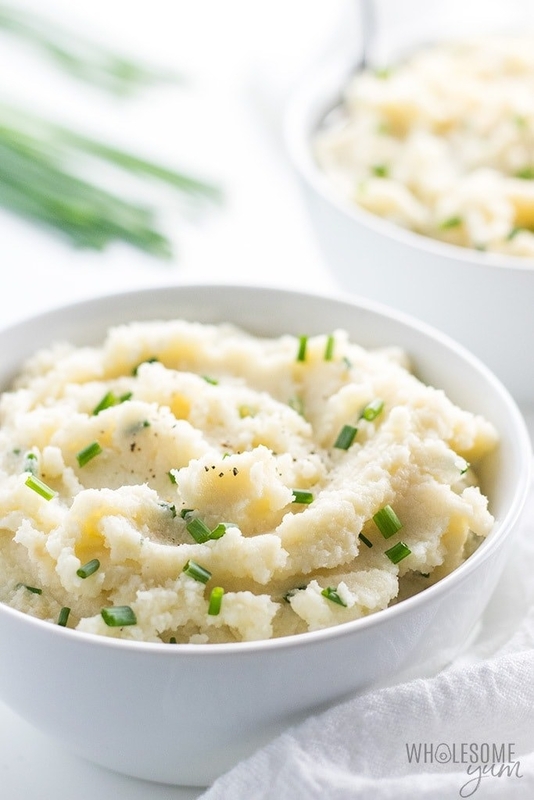 This recipe swaps out potatoes for cauliflower to keep it low-carb — and it gives directions for cooking the cauliflower in the microwave so you can whip it up in no time. Get the recipe. 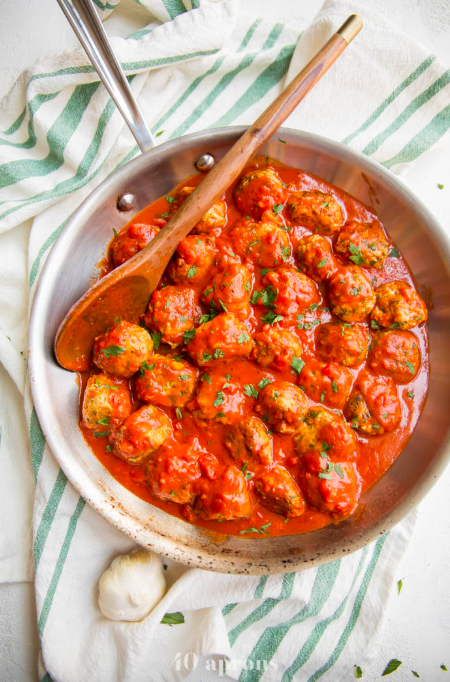 The secret ingredient that makes this sauce so delicious? Roasted red peppers. They give the sauce a bright flavor that takes the whole thing from good to great. Get the recipe. 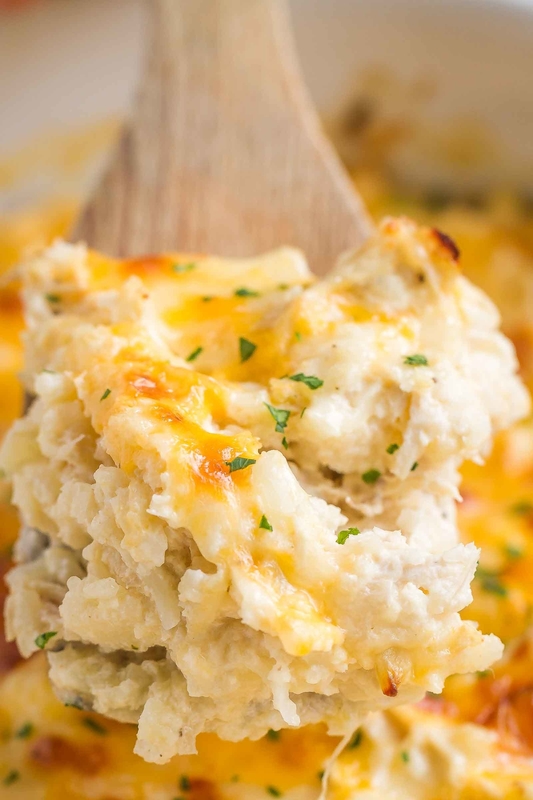 This recipe swaps the usual wheat flour for almond and coconut flours to keep it low-carb while still delivering the classic flavors that make biscuits and gravy so delicious. Get the recipe. 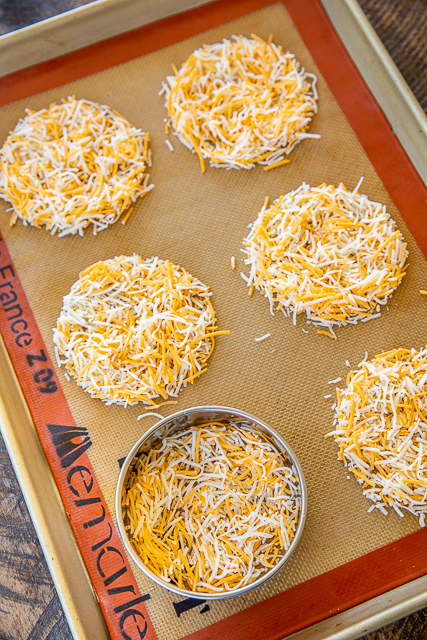 Homemade cheese taco shells might sound difficult to make, but they're nothing more than melted cheese formed into circles. 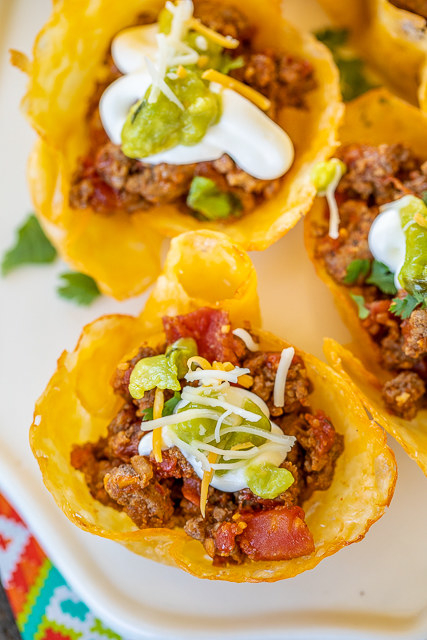 Fill them with your favorite ingredients and you have yourself the perfect low-carb taco night. Get the recipe. Tater tots made with grated cauliflower? Yep, it's possible — and they're surprisingly delicious. Get the recipe. 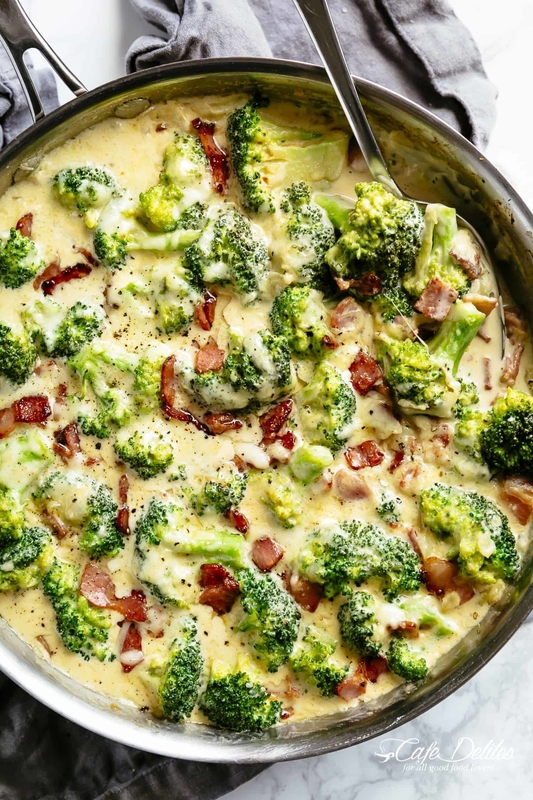 Broccoli and cheese is the ultimate comfort food combination, and this recipe pairs them with bacon to create a cheesy veggie bake that's both satisfying and delicious. Get the recipe. 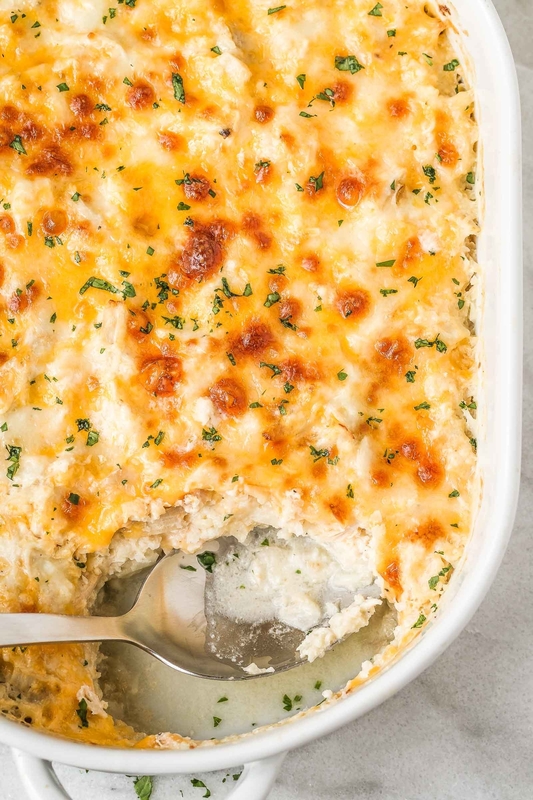 Sure, chicken and rice casserole is delicious — but have you tried chicken and cauliflower casserole? 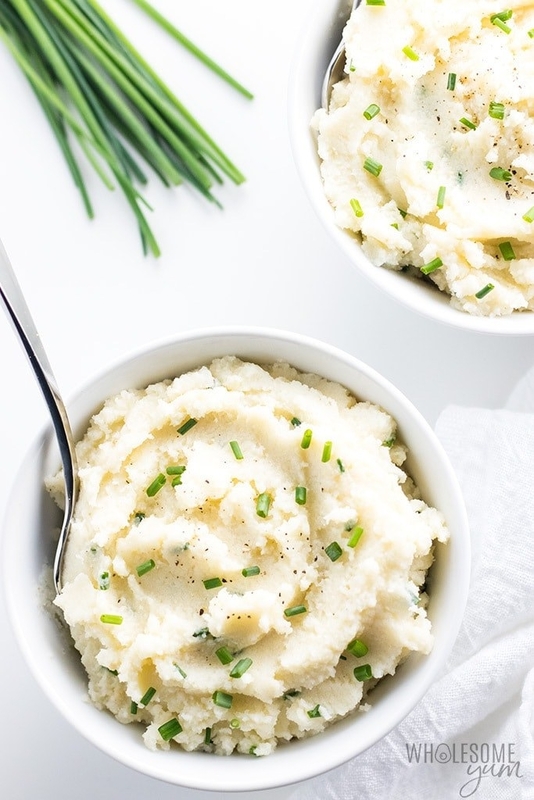 It's everything you love about the classic, just without all of the carbs. Get the recipe. Ground beef seasoned with a slew of spices topped with melted cheese. What's more comforting than that? Get the recipe. 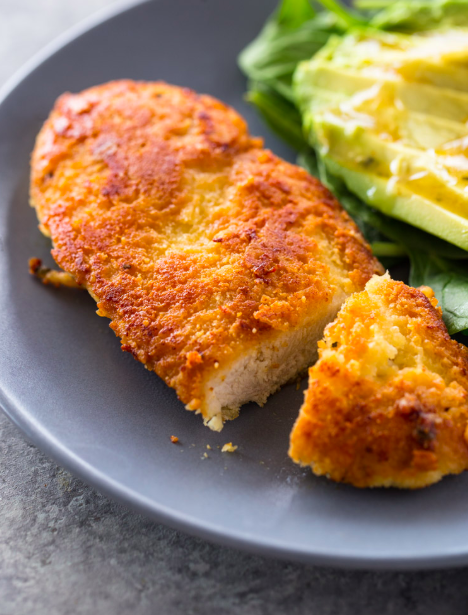 Serve these flavorful parmesan-crusted chicken breasts with fresh greens or roasted veggies for the ultimate keto-friendly dinner. Get the recipe. 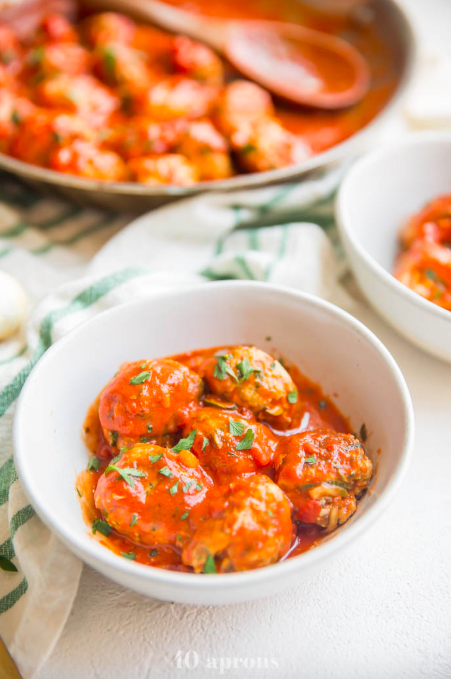 These meatballs are loaded with two cups of shredded zucchini and two cups of spinach to help you get your daily veggies in — but you would never know they were in there. Get the recipe. 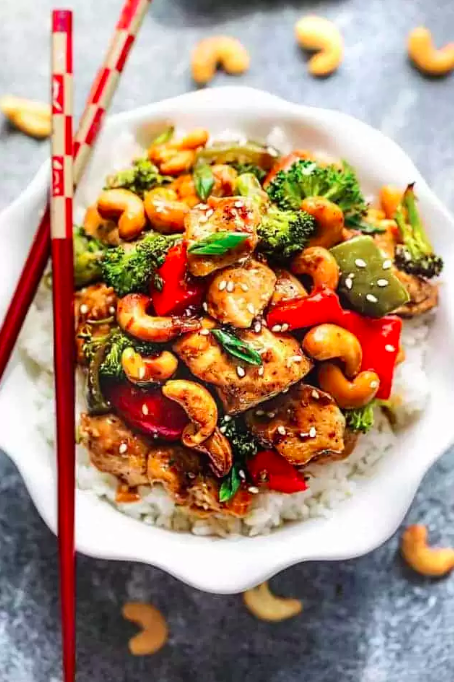 This low-carb version of the take-out classic is loaded with chicken and veggies to make it super filling but totally low-carb. Get the recipe. These low-carb pretzel bites are made with mozzarella cheese, cream cheese, eggs, and almond flour, and make the perfect snack to dip in cheese sauce. Get the recipe.